A well managed library is an essential input to academics, it is always a crucial learning resource for students of professional courses. We have a well stocked computerized library catering to the academic and non-academic interests of the students. 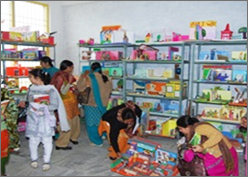 The serene atmosphere and rows of neatly stacked books pertaining to courses of study, supplementary reading, general reading and personality development etc., play a major role in attracting the students to the library. 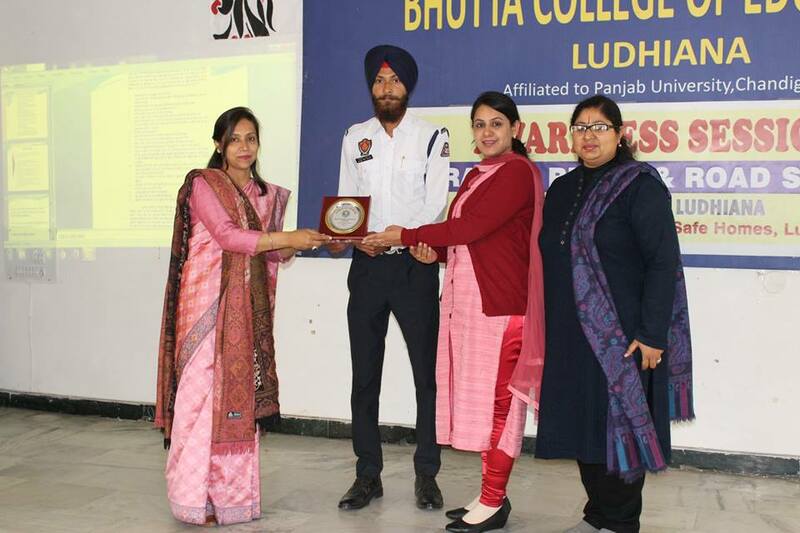 There are more than 6,000 books on different subjects including a large number of reference books, twenty sets of encyclopedias and a great number of periodicals and news papers to keep the prospective teachers abreast of the latest in the world.The library has a spacious reading hall. 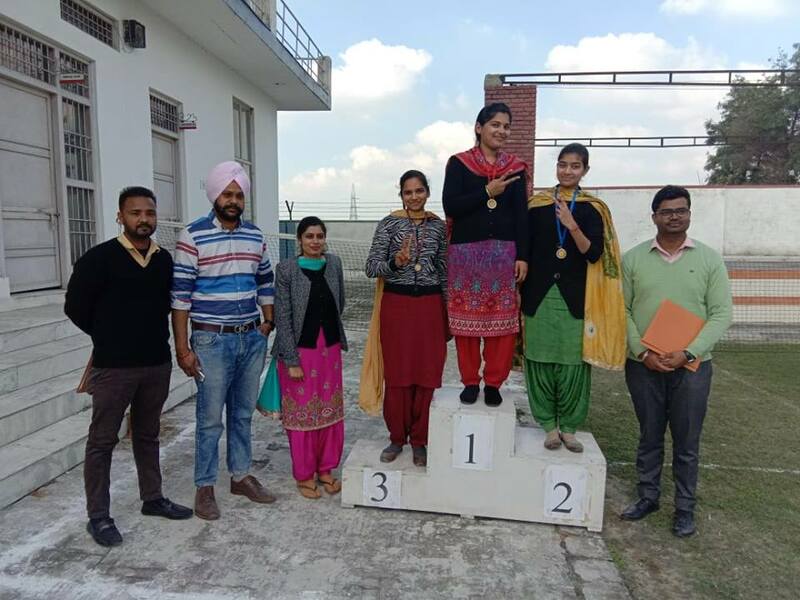 The library with its rich collection of books, magazines, newspapers, wide range of journals, provision of reference service, efficient lending facilities and skilled help from the library staff is rendering valuable assistance to the students desirous of excelling in their studies. Good Communication is the most required skill for present day world of work. To improve the skills of pronunciation and phonetics, language lab having 20 units of hearing & recording having 1-1 contact with a central control system is there. Services of a part time speech therapist are availed. Features:- 1. Unique voice operated priority in Mic-1 helps in making announcements while music is on 2. Headphone socket for private monitoring of the proceedings. 3. Built-in monitor Speaker. 4. Low distortion figures over the complete frequency range for clear and brilliant sound reproduction. 5. Ac/12v Dc (Car Battery) operation . Automatic changeover to Battery Operation in case of mains failure ensures uninterrupted service. 6. Multiple inputs for 3 mics/1 Aux sources. 7. External speaker connections for 4,8 ohm and 100v. 8. Active Bass and Treble controls. 9. Sturdy Tape Deck Mechanism. The Computer Lab equipped with interconnected 25 PCs, printer, scanner and internet connectivity. Cater to the project and assignment needs of the students. To concretize the abstract concepts in learning A.V. aids plays a significant role. The aids improvised by students are preserved in the A.V. aids Room. 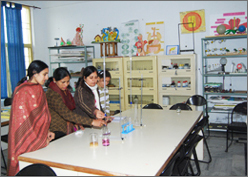 Fine arts room is designed to cover all aspects of learning in art, creativity and knowledge. Our greatest priority is to further each student's artistry level and skill. The goal of Our Art Room is to inspire and awaken student's artistic passions. At Our Art Room, students will learn the fundamentals of drawing, painting, and design that will help in their exploration of the world of art. 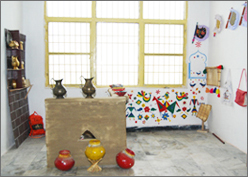 Heritage room is made in the college to enable the students know their culture, customs and traditions . 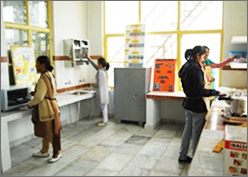 There is separate provision of Hostel for Boys and Girls.